Amber Rudd: Don’t have any sympathy for her just because she’s stuck between Theresa May and Boris Johnson. 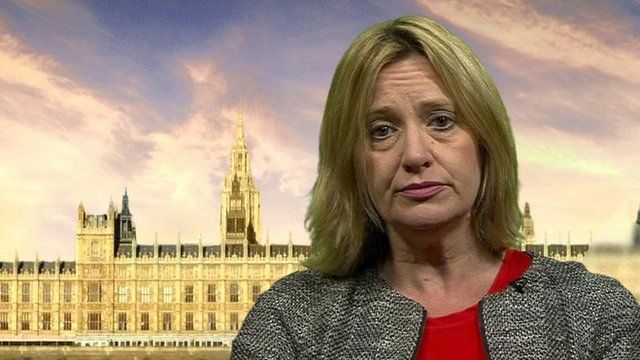 Home Secretary Amber Rudd – the woman who had to prompt Boris Johnson to stand after Theresa May’s calamitous keynote speech at the Conservative Party conference – found herself forced to defend the indefensible in a BBC PM interview with Eddie Mair. The reporter wanted to know why Mrs May still refuses to sack Mr Johnson after a quite staggering series of gaffes, culminating in his callous and ignorant comments about Sirte in Libya at the Tory conference. A Libyan politician has condemned Boris Johnson’s comments on a city overrun by Isis as “cruel and unacceptable” amid mounting calls for the Foreign Secretary to be sacked. Salah Suhbi, a member of the House of Representatives, was among those calling for Mr Johnson to be dismissed after a controversial address to a fringe event at the Conservative Party conference. When asked about a recent visit to Libya, where fighting continues six years after Britain’s intervention to oust Muammar Gaddafi, he praised the “incredible country” with “bone white sands”. “There’s a group of UK business people, some wonderful guys who want to invest in Sirte on the coast, near where Gaddafi was captured and executed,” he added. Mr Suhbi, a member of one of Libya’s two rival governments in the ongoing civil war, said: “It is cruel and unacceptable that the head of British diplomacy speaks and behaves in such a manner. It isn’t very often that This Writer gets to praise anybody from the BBC these days, but this was a masterpiece. In just three minutes, Mr Mair managed to demonstrate why Theresa May should not be prime minister, along with reasons Mr Johnson and Ms Rudd should also be ejected from government. They are more concerned with their own miserable careers than with salvaging the reputation of the country they claim to represent. no and its not the UK we all knew either is it?